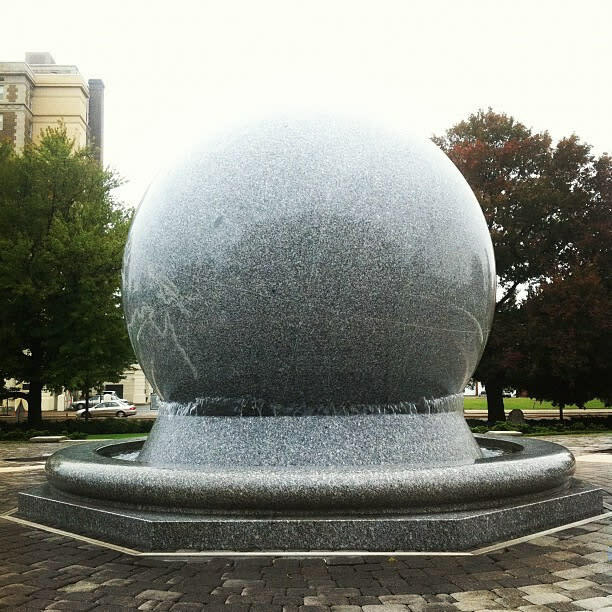 In 2003 the Science Museum of Virginia unveiled the Grand Kugel, the world's largest kugel ball at a cost of $1.5 million dollars. The Grand Kugel was originally carved from an 86-ton block of South African black granite. It was 8 feet, 8.7 inches in diameter, and it floated on a base of granite. Shortly after installation, the Grand Kugel began to crack. The crack eventually spread through the sphere, rendering it unfloatable. A replacement kugel ball was installed in October 2005. The original kugel is still on display behind the museum.